London's Barclays Cycle Hire shares some pretty impressive statistics as it starts 2012. There are now almost 146,000 subscribing members to the 6,000 bike system. That compares to Barcelona with 120,000 current subscribers for 6,000 bikes and Paris with 209,000 subscribers for 20,000 bikes. Although it does not top Dublin, which has the highest ratio of subscribers to bikes with 38,000 subscribers to 550 bikes, London is very respectable! Also, a most interesting statistic is that in the one year that 'Boris Bikes' have been open to "casual users" or walk-ups, there have been 2,030,000 of them. That averages to around 5,400 a day! 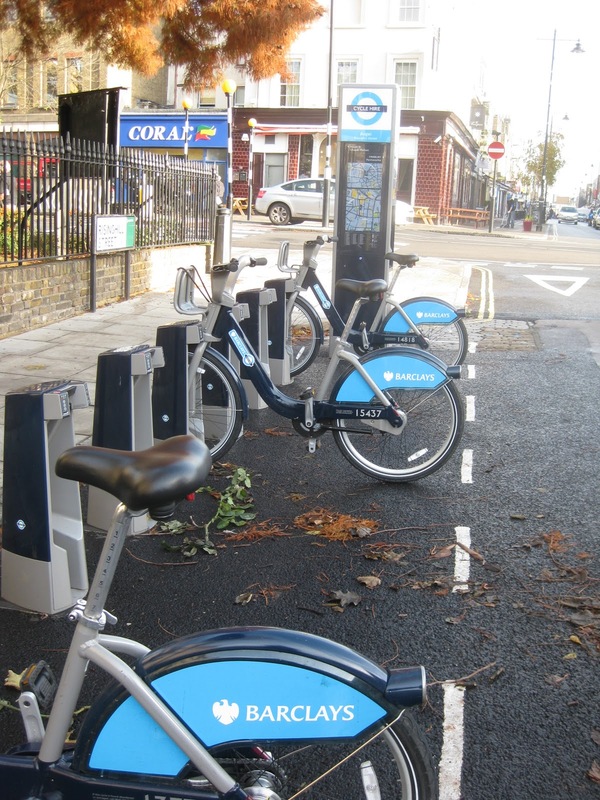 These statistics were posted on the Barclays Cycle Hire web site at Key Facts this week. Bike-sharing is terminated in Cardiff, Wales. OYBike suspended its bike-sharing service there the last week of December. It was not able to find replacement funding for the Cardiff Council's subsidy which covered the £70,000 ($110,000 US) yearly operating cost. The service which started in November 2009, had 2,000 subscribers when it closed. 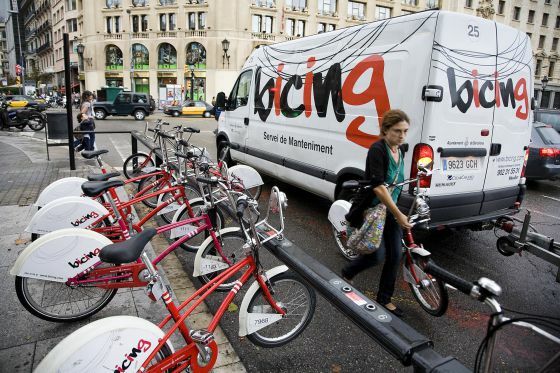 Barcelona's Bicing increases it annual membership cost from €35 ($45 US) to €44 ($56 US). It is estimated that the 120,000 annual memberships are only paying about 21% of the yearly operating cost, according to El País Catalona. The system is contemplating selling advertising on the bicycles or on the stations as a way to cover more of the operating expenses of the system. Update: €4 of the new Bicing membership is a mandatory insurance policy to cover third-party claims, first-party injury or damage and legal assistance for the user. 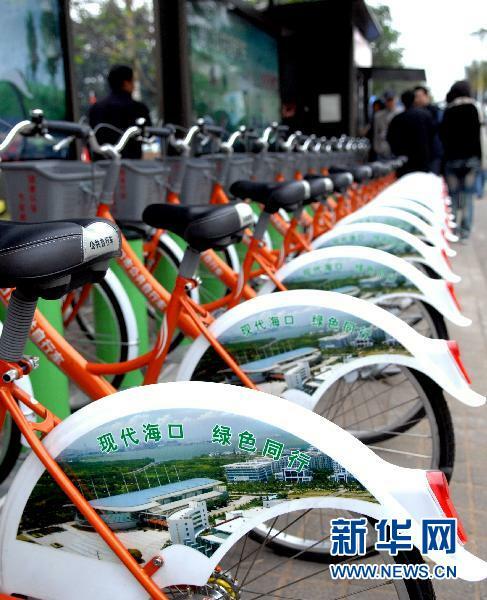 Wuhan's 70,000 bikes tops Hangzhou's 60,600 bikes! 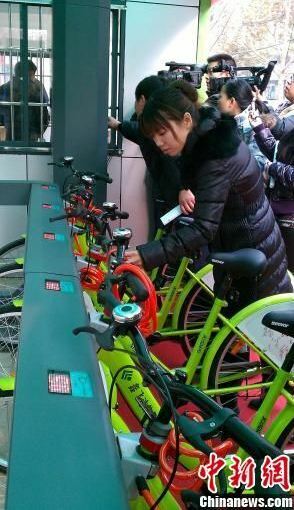 The City of Wuhan on the Yangtze River is claiming the title of the largest bike-sharing system in the world with 70,000 bikes! The Municipal Government for 2012 is consolidating the non affiliated bike-sharing companies into one system for the city. New automated stations are starting to be installed in the city. According to Chinanews, the city wants to integrate all public transportation into a unified system. 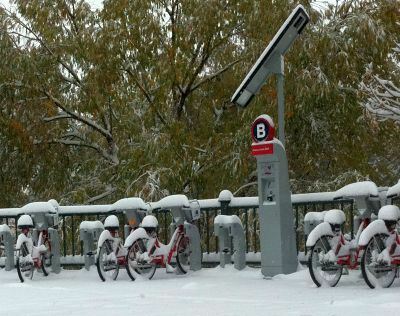 Cities in the US have embraced bike-sharing during 2011. Many new systems were launched and many older systems were expanded. These will be considered minor occurrences compared to the expectations for 2012. Just between New York City and Chicago, 13,000 new bikes will hit the American streets. Add to that, Chattanooga, Baltimore, the City of San Francisco with the Bay Peninsula, the City of Miami, Houston, probably Nashville, Charlotte and Portland will all put bike-share bikes on the street. Let us not forget that the suburban communities of both Boston and Washington, DC will rolling out more stations and bikes too. 2012 will give North America a high ranking in the Bike-sharing World. 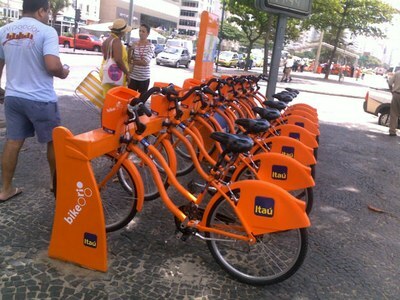 In Rio de Janeiro Samba now dances with a new name, BikeRio. 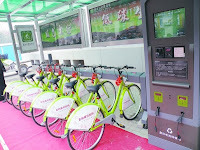 It is an expansion of the old bike-sharing system which now covers much more of the city, and not just the beaches. 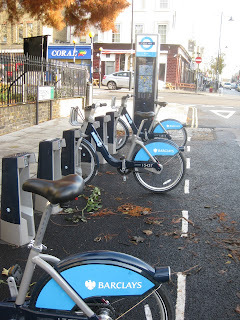 There are now 600 bikes spread out over 35 stations with another 25 on the way for the start of 2012. It cost 5R$ ($2.70 US) for the one day or 10R$ ($5.45 US) for a monthly pass. Registration for the system is online for more than the one day pass. While the one day can be acquired by mobile telephone. BikeRio has increased popularity because the original system had cost 10R$ for just one day. There is no extra charge for the first sixty minutes of use, but it cost 5R$ for each additional hour. The new system gained sponsorship by itaú, the Brazilian Bank, at the end of October and has prospered since. BikeRio itaú is operated by Mobilidade same company that ran Samba. Don't forget to check out bike-sharing in your part of the world on The Bike-sharing World Map.